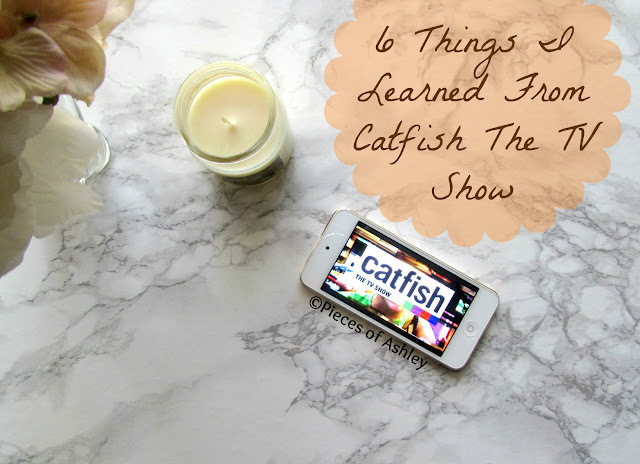 I'm pretty sure you've all heard of the MTV show, Catfish. Every time I watch this show I learn the same things every time. A lot of these stories are almost the same and others are unbelievable. You don't even have to look for a girlfriend or boyfriend to get catfished. Everyone is vulnerable to this so it's really all about being careful. So I decided to list all of the obvious things I've learned from the show. I'm not judging because you don't know what someone is going through. Whether their the catfish or the one being catfished. These are really things everyone should look out for. Those rare cases on Catfish when someone's doing this to purposely hurt someone, is mind blowing. I mean if they hurt your feelings or got with your ex, forget about them. I know easier said than done but seriously, don't stoop to their level and plan this scheme for a year (s) to get back at them. This is not going to end well and if you do end up on the show, everyone's going to know what you did. I know it sounds cliché but it's true. Just because someone accepts you, it's based on them believing you're someone else. To be honest it's not fair to them because they have no idea what's going on. Most importantly it's not fair to you, because they not seeing the real you. This one always gets me. Why are they using someone else's pictures? It's not fair to the person you're lying to and it's definitely not fair to the person who's pictures you stole. They have a life and the actions you take can have an effect on them/the people around them. Besides you shouldn't want to be seen as someone else. You know we need people motivating each other. Then people wouldn't feel the need to lie about who they are, therefore stealing pictures. Well Catfish did not teach this, because I already know. But this is a lesson to be learned. When you lie about who you are, chances are you're going to have to continue the lie. As a matter of fact you're going to have to tell a bigger one to cover up. Why lie in the first place, what are you winning. I've always been curious about this. Because the show is called Catfish, I always think the person isn't being honest. It's those rare moments when someone is actually telling the truth. For me these episodes are always a shock, because you never know when someone is honest throughout. That sounded crazy saying that in my head, but even more crazy as I'm reading it. People should tell the truth, it seems hard but it should not be. People use the internet as an escape from their everyday life. There are people searching for a companion whether it's just a friend or a significant other. When they open themselves up, their putting their heart out. Literally wearing their heart on their sleeve. Although people make the decision to put themselves on the internet, they don't expect someone to take advantage of it. I hope you enjoyed reading and if you haven't watched this show before, you should!